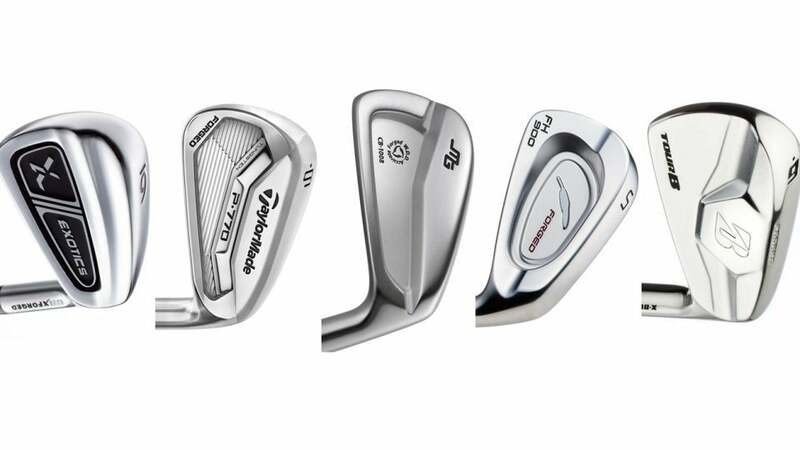 See below to learn about these five new irons for better players. Game-improvement-iron technology has advanced so much over the years that many highly skilled players have transitioned from pure blades to friendlier options. But there's still a market for guys who demand maximum shot-shaping control in an iron that looks and feels exquisite. Here are five new models that fit the bill. This muscleback sibling of the TourB X-CB, which was a top-rated better-player iron in ClubTest 2017, features a narrow sole and minimal offset for maximum workability and versatility. Forged from 1020 carbon steel, the X-Blade has an extra weight pad behind the sweet spot for added responsiveness. Bridgestone offers 10 shafts at no additional cost from FST, Nippon, True Temper and UST, as well as models from Aerotech and Royal Precision that do have an upcharge. The FH-900 Forged features progressive CG locations throughout the set to optimize launch and spin. A higher CG in short irons helps produce a boring flight, while a lower one in the longer irons increases launch and carry. There are also progressive swingweights—heavier in the shorter irons for more control, lighter in the longer irons for extra swing speed. The one-piece forged heads produce ball speeds that rival multi-piece irons—the thin face structure increases COR—while a high-bounce sole improves turf interaction. Miura is known for its high-quality forged irons, and the CB 1008 doesn't disappoint. It has a slightly wider sole than a typical blade for players looking for a bit more forgiveness. With the larger sole, more mass is located low in the head, creating a lower CG for increased launch angles in the longer irons. For players who want more of a muscleback look, there's the limited-edition MB 5005 (not pictured; $1,980 for 5-PW). A cutout behind the hitting area relocates 15 grams to the heel and toe to increase forgiveness and playability. Forged from 1025 carbon steel, the long and mid irons (3-7) have a 70-gram steel bar low in the cavity to increase launch and stability. The bar is also lighter in the middle than in the heel and toe to help raise the MOI. The short irons (8-AW) are a one-piece forged cavity design that boosts control and precision. The shallow heads and shortened hosels help the CG location in each iron for balanced performance, while milled faces and grooves provide consistent, predictable outcomes. A companion model, the P750 Tour Proto ($1,600), is for players who want maximum shot-shaping control. (Sergio Garcia played it en route to his Masters win.) These beauties have less offset, an even thinner topline and a sharper, narrower sole, plus five-gram sole weights in the long and mid irons (3-7) to improve launch and maneuverability. The CBX Forged continues the Exotics tradition of using high-tech materials in the pursuit of unmatched performance. The most bladelike design in the Exotics line, the CBX is triple-forged from Japanese carbon steel for an ultra-smooth feel, while milled square grooves provide an added layer of consistency and spin. Feel is further enhanced by an alloy insert in the cavity and a dual-level flange, which helps on shots struck low on the face. Plus, moderate offset and traditional blade lengths give the model a nice combination of forgiveness and accuracy. Stock shafts are the True Temper XP 95, True Temper Dynamic Gold AMT, KBS Tour and UST Mamiya Recoil.